Starting Oct. 1, families will be able to stream on Netflix the new children’s program “Mack & Moxy,” including an episode on the importance of reading and early literacy created in partnership with Save the Children, which has a special guest appearance by actor Josh Duhamel. “We know how important talking, singing and reading to children from their earliest days can be to a child’s future success in school and life,” said Bill Corwin, vice president of Save the Children’s U.S. Programs. "The wonderful thing about this special episode of “Mack & Moxy” is that it helps children and families see that they have the power to unlock the full potential of young children in their own families and beyond." Save the Children partners with families, schools and communities to give children a healthy start, protection from harm and the best possible opportunity to learn. In the United States, Save the Children offers a continuum of early literacy programming in some of the nation’s most marginalized communities. The organization supports mothers during pregnancy, provides home visits to families of infants and toddlers, helps young children get ready for school, runs literacy programs in elementary schools and empowers local leaders to make early literacy a priority. By reaching vulnerable children early and helping them get on track to be kindergarten-ready and to read well by third grade, Save the Children prepares children to succeed in the rest of their school years and beyond. Series creator Brahm Wenger states, "When we came up with the idea for “Mack & Moxy,” we wanted the series to be a celebration of the satisfaction that comes from helping others. We knew it would be important to team up with well-respected charities in order give the series credibility and draw upon their expertise. So, of course, Save the Children was at the top of our list. With their invaluable input, we were able to put together a wonderful episode that encourages children to develop an early love of reading." Combining state-of-the-art 3D animation, live-action puppets, fun adventures, humor and music, each “Mack & Moxy” episode is geared toward kids ages 3 to 7 and inspired by the kindness of the great humanitarians who make this world a better place. In the episode developed with Save the Children, called “A Friend Who Reads is a Friend Indeed,” the show’s heroes Mack & Moxy set out on a colorful adventure to HelpeeLand. They meet Nolie, a loveable little puffball who has never had any pals to play with. As “Mack & Moxy” become her first friends, they share and sing about the joys of reading books. 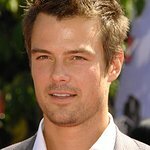 The episode features guest star Josh Duhamel (“Transformers”) as the “Admirable,” who provides age-appropriate context about the importance of the message, and Hank Azaria (“The Simpsons”) as the voice of Shelfish Sheldon. “Mack & Moxy” is produced by Socially Dynamic Entertainment in association with Vancouver, Canada-based animation studio Bardel Entertainment (“Jake and the Neverland Pirates”; “Puss in Boots”; “Teenage Mutant Ninja Turtles”).